Playgrounds are a big part of most children’s childhood! They’re the place where we play and explore risk, socialise with others and create memories that we will treasure long into adult life — but what happens when the risk becomes all too much? We have teamed up with Compost Direct, retailers of lawn top dressing and play bark, to take a closer look at safety in the playground. We look specifically at the accident rates before offering tips to prevent injury and safeguard our children without limiting their play potential. 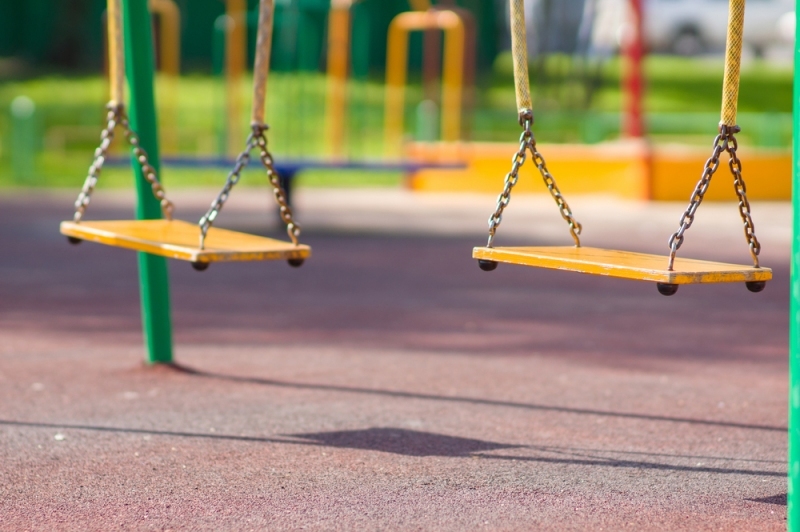 What are the current safety levels in British playgrounds? Unfortunately, there is not one piece of research that sums up the safety of all British playgrounds. However, some studies have taken place that do shine some light on the safety of our playgrounds. Research by Play England suggests that when you compare the risks involved of playing in a playground to partaking in a sport, the sport poses more harm to a child. For example, rugby has the highest non-fatal accident rate per 100,000 hours of exposure, with roughly 280 incidents. Football and hockey are the next most dangerous, with approximately 130 and 90 incidents respectively. In comparison, public playgrounds have one of the lowest non-fatal accident rates at around 5 incidents per 100,000 hours of exposure. When we think of a playground, the image of a play area created by a council pops into our heads. However, hotels, restaurants and public houses are creating playgrounds as part of their businesses too, and this is where many accidents are reported. The Hampshire and Isle of Wight Health and Safety Advisory Group suggested that these accidents were due to incorrect design and layout, poor inspection and maintenance, unsuitable clothing and lack of adult supervision amongst others. There are actions that councils, businesses and parents can undertake to improve child safety in the playground. It must be kept in mind that some incidents that occur in the playground are completely unavoidable. Playground designers cannot be overly safety conscious when deciding how a playground should look or else the adventures and challenges that children enjoy in a play area will be eliminated. However, a well-designed playground will not raise any additional hazards for children and will encourage safe play. One key thing to keep at the forefront of the mind is that a playground should be able to be enjoyed by all. Parents with pushchairs must be able to navigate around the park to watch their children, disabled people and children must be able to enjoy the area and emergency services must be able to reach the play zone in the case of an accident. The materials that are used for creating surfaces in the playground should be carefully evaluated. Hard surfaces should be non-slip, especially in rain and adverse weather conditions as this is a common cause of accidents. Impact absorbing surfacing should be fitted around all apparatus to reduce injury level in the case of a fall. This could be in the form of play bark (bark chippings) or sand. Surfaces should be level too, with adequate opportunity for drainage to reduce risk of corrosion on any of the equipment. In a park, there should be plenty of seats around the play areas so that parents can supervise their children. One of the main things that parents and guardians can do to keep children safe is to supervise them at all times. They should look out for older children mixing with smaller children. This can lead to bullying or your child feeling uncomfortable when they are playing. In this situation, encourage your child to play on another piece of equipment and suggest to the appropriate authority that segregated areas could be beneficial. Keep an eye out for any litter too which may be harmful. For example, cigarette dumps, alcohol bottles or broken glass. Remind your child of road safety whenever you can. Although playgrounds should not be placed next to a road, often children can wander off and put themselves in a dangerous situation. It’s understandable that parents cannot watch their children at all times and it is settling to know that your children are aware of the Green Cross Code if they come to a roadside. Be proactive when you spot any potential hazards in the park instead of simply removing your child from the situation. Make sure that you report the problem to the appropriate authorities to avoid any accidents for other children. Ask your children about their experiences too after they have been playing; they might have come across something that you did not notice.